Select Recording Studio is a fully equipped London recording studio offering an ideal recording environment for bands and groups looking to record a demo, mixtape, single or an album. 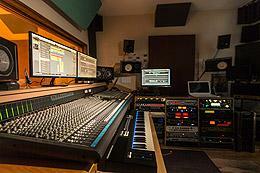 The studio offers a digital recording environment with a 56-channel mixing desk and is based around a Mac Pro music system. In addition, the studio offers a wide range of quality microphones, professional outboard equipment, virtual instruments and plugins. 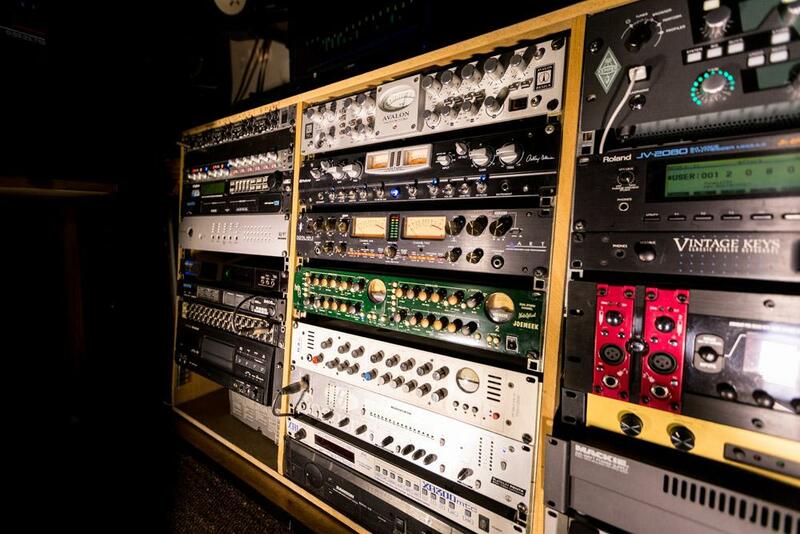 Our studio includes a control room, live room, drum room and vocal booth. 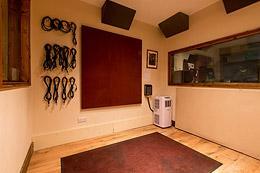 Our objective is to make your recording studio time as enjoyable, comfortable and professional as possible. Whatever your recording requirements, Select Recording Studios has the equipment and expertise you need for your recording projects. 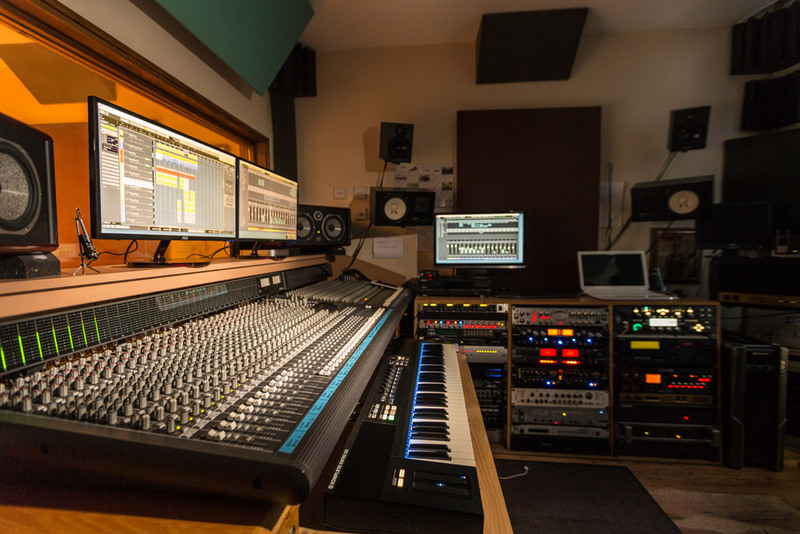 Coupled with the talented music producers and sound engineers, we have had over 20 years experience in recording, mixing and songwriting in a wide variety of musical styles, including Hip-Hop, R'n'B, Rock/Metal, Dance, Indie, Electro, Pop, Jazz and Classical and musical theatre. Listen to examples of songs recorded produced mixed at our studio, or visit our dedicated audio samples page where you will also find a larger selection of tracks recorded and mixed at Select Studios. Read what past clients have said about recording with us on our client testimonials page. Usually the most important thing when listening to a song that has just been recorded is to make sure that the drums sound correct and that the drummer is happy with that "take". We check that there are no trimming problems and, if there are any, we correct them. Often guitarists and bass players will wish to re-record their parts and add overdubs. The best "takes" are then chosen and edited. Effects such as EQ, compression, and others where appropriate to the feel of the song, are also then added. Finally, the singer's vocals are recorded alongside this instrumental track. After warming up, the singer usually sings the song through four or five times. We go through each "take" and pick the best versions of the vocals to make one perfect vocal recording. The vocal track is then checked to see if any sections need tuning (pitch correction). Vocal effects are then added: EQ, compression, reverb, echo, etc. Certain sections may be double-tracked to add depth and particular sections may have extra effects applied. Finally, the song is mixed and mastered onto CD or to MP3 format.